Today’ fragrance: unlocking answered prayer, key 5. “When Jesus had called the Twelve together, he gave them power and authority to drive out all demons and to cure diseases”. This is a continuation of the series on the basic keys to unlock answered prayers. Click here to find the missed keys and do well to Stay with me on this journey as the Holy Spirit enlightens you to getting answers to your long awaited prayers. 5. 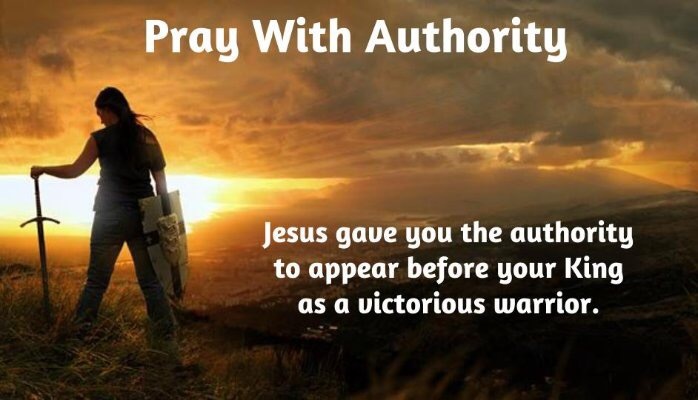 Pray excercising your redemptive authority over all Devils. You might be thinking power and authority could be used interchangeably to mean the same thing but no! One is embedded in the other. Having power without authority is as good as having non at all, you will just become a fraud. Power is the ability to influence somebody to do what he would not have done but Authority is the claim of legitimacy, justification and right to exercise that power. When man sinned in the garden he also sold his power and authority on this earth to satan so by that, man had no legal right to coordinate and regulate the affairs on earth. What a waste! But Jesus took that power and authority and gave it back to us who believed in Him when he carried our sins on the cross. So to be able to cause the heavens to interfere in earthly affairs(to receive answers to your prayers) you must be recognized as one with rights to authorize such moves. You need more than power to deal with those ugly scenes in your story, exactly why Jesus had to give the twelve power and authority to do the work they were called to do. If you really desire to see results stand in the redemptive authority given you through the blood of Jesus whenever you pray, by that the heavens will recognize your voice. 2. Pray the word of God and not your words. 3. Pray by faith in the name of Jesus. Stay connected so that you don’t miss out on any of the remaining keys to get that prayer answered! It is my prayer that you don’t just read this but practice to see results. 1. Thank God for the gift of life and this word. 3. Stand in your redemptive authority and present your requests to God And ask for grace to always obey His word no matter what. 4. Thank Him again for hearing you in the Name of Jesus Christ, Amen.